Smartphones are now a primary tool used worldwide to work, collaborate, communicate, access every possible type of information, shop, pay bills, get directions, and much more. This is no secret. Because of our strong reliance on these devices, mobile app owners are constantly driven to innovate and improve on the apps and software that we use. This cycle creates a rapidly changing landscape in mobile app trends. The following article outlines the top mobile app trends for 2019, as we see it. The honeymoon is over. The golden age of the iPhone is coming to a close. Companies and entrepreneurs are no longer launching mobile apps just for fun or because it’s cool or interesting. And users are not downloading apps without a solid reason to do so. We’ve all been there, done that. The good news is that what we learned along the way is that user experience (the experience we all have while using an app or using our smartphone to do a task) is the most important thing. In fact, there is a huge risk related to having a sub-par mobile app serving as the public-facing representation of your brand. In 2019, we’ll see more and more apps being redesigned from the ground up with a focus on the user experience. More apps will create delight in our lives and serve a useful purpose. Finally, the user wins! Reach out to us at iTexico if you’d like to have a conversation about updating or rebuilding your mobile app in 2019 or beyond. Chatbots are an AI-driven solution to having a virtual assistant for your business and mobile applications. Users can use the chatbot integrated into your app to access information, ask questions, and get a thorough understanding of how to effectively use your mobile app. According to a report by Statista, the global chatbot market is expected to grow to beyond $1.25 billion USD by 2025. Products such as Facebook, Slack, and Skype were among the first major apps to integrate chatbots, but we are now seeing companies of all shapes and sizes begin to take advantage of chatbot apps, due to their ease of installation and ability to significantly improve app adoption in their organizations. Due to the ability of AI to constantly improve the functionality of chatbots within an organization, you can expect them to become a common feature of mobile apps in 2019 and beyond. Artificial Intelligence (AI) has been redefining the mobile app development process for the past few years and will continue to do so in 2019. AI manifests itself in the form of chatbots and virtual assistants such as Siri, Cortana, Alexa, and Google Assistant. This mobile app development trend is making lives easier and businesses more intuitive and responsive. The AI industry is expected to grow to $40 billion by the end of 2020. On a business level, AI functions as a way to obtain, understand and analyze valuable data. Through this, businesses are able to make informed and intelligent decisions on how to create a more personalized experience for users while increasing app adoption. On a personal level, AI functions as a way to understand and take over daily tasks such as reading, writing, messaging, searching the internet, setting reminders, and much more. Whether being implemented for business or personal use, AI has the power to drastically improve functionality, efficiency, and effectiveness of mobile apps. In 2019, we can expect to see AI continue to be integrated into smart home devices and applications. With the growing popularity of wearable devices such as smartwatches and fitness trackers, mobile app developers have been racing to build apps and software to allow for more effective and efficient use. In its current state, the wearable device industry and accompanying apps focus mainly on fitness and health. Vital health parameters, such as heart rate, cholesterol, and blood sugar level, can be constantly monitored and reported on. Fitness and lifestyle parameters such as calories, steps, and sleep patterns are also popular features of wearable devices. Business Insider reports that the market for wearable devices is expected to rise approximately 35 percent in 2019, and shows no signs of slowing down for years to come. Along with an increase of variety in style and form, one also can expect mobile app developers to start integrating wearable devices into other types of software and mobile apps. While Apple is widely known to be the leader in the industry, companies such as Uber and Zomato are working to integrate their services into wearable devices. As a primary technology trend of 2019, the integration of wearable devices with smartphones and mobile apps will continue to improve how we interact with and access information. In 2019 mobile app developers will continue to create products that intelligently amalgamate various aspects of users business and personal life. The Internet of Things (IoT) leverages the power of interconnected devices with the use of smartphones. The industry is expected to grow to $457 billion by 2020. For businesses, IoT can expedite operations, reduce expenses, and enhance cybersecurity. Industries already incorporating IoT include healthcare, e-commerce, construction, and transportation. Soon we can expect IoT to have an impact on industries such as real estate, city planning, and retail. As we continue to rely on technology and our smartphones to enhance our lives, IoT surely will be a mobile app development trend to follow in 2019. Although augmented and virtual reality are most commonly considered to be the domain of gaming software, there is an abundance of excitement and anticipation for augmented and virtual reality to change the way we do business and interact with each other. Online retail, real estate, and clothing and apparel are only a few of the industries that have begun integrating AR and VR into their operations. It is commonly understood that augmented and virtual reality are leading the way in mobile app trends, and there are statistics to back it up. According to a Statista report, the industry generated more than $725 million (USD) in revenue worldwide. The applications to, and integrations with, a wide range of industries make augmented and virtual reality one of the most exciting technologies to watch in 2019. 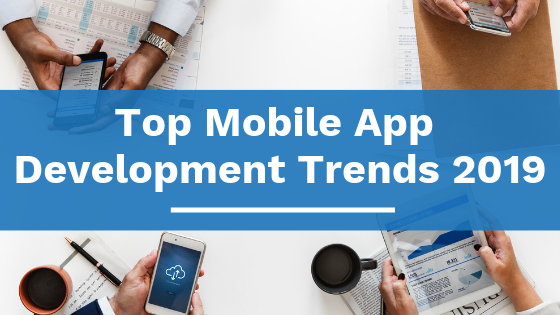 It can be difficult to stay on top of all trends in the mobile application world, but developers are working hard to create products that help tie new technologies together and create unified experiences for users. It’s important to understand the impact of these trends, as we will continue to create new ways to use our mobile devices to enhance our abilities. All businesses can benefit from improvements to their offering, and iTexico, a mobile app development company specializes in helping them transform and expand with these new technological advancements.